YAKIMA — A lawsuit that claimed sexual abuse by a Waterville Catholic priest was dismissed last week for lack of evidence. The complaint said the plaintiff, called only “S.A.” in the court file, was sexually abused multiple times while a child between 1972 and 1974 by the Rev. 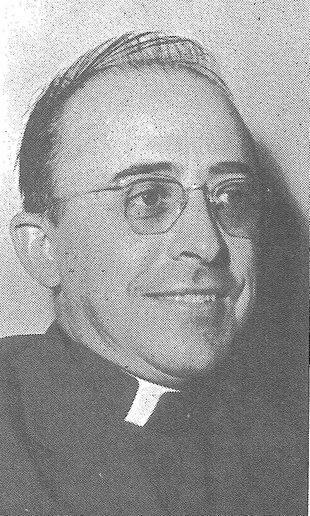 Joseph Graaf, then the priest of St. Joseph Catholic Church in Waterville. But the 2010 suit was dismissed Feb. 6 on the motion of the Diocese of Yakima, the defendant, which successfully argued that there was insufficient evidence to allow the claim to go to trial. Yakima Superior Court Judge Robert E. Lawrence-Berrey agreed there was no evidence the diocese knew or should have known that Graaff presented a risk of abuse; or that the diocese created circumstances that allowed the claimed abuse to occur. Graaff, who served in Waterville, Chelan, East Wenatchee and Leavenworth from 1958 to 1979, died in 1990. He was also director of the Catholic Youth Organization Camp Field at Leavenworth for four years. Friends and former parishioners were outraged at the abuse claims when they became public in the lawsuit. The plaintiff’s attorney, James. S. Rogers of Seattle, said at the time he expected other victims to come forward in the wake of the 2010 filing. But investigations by both Rogers’s office and the diocese uncovered no other allegations of abuse carried out by Graaff. The claim involving Graaff was one of four lawsuits that ran simultaneously against the diocese, alleging sexual abuse of children by priests. The others all stemmed from incidents in Yakima. One suit was settled last December, awarding $50,000 to a victim abused decades ago by the Rev. Ernest Dale Calhoun. Another, which accused the late Rev. Frank Duffy of molesting a Catholic school student in 1977, was settled for almost $500,000 last May. A federal suit involving former deacon Aaron Ramirez, who molested a 17-year-old parishioner and then fled to Mexico, remains open in U.S. District Court.